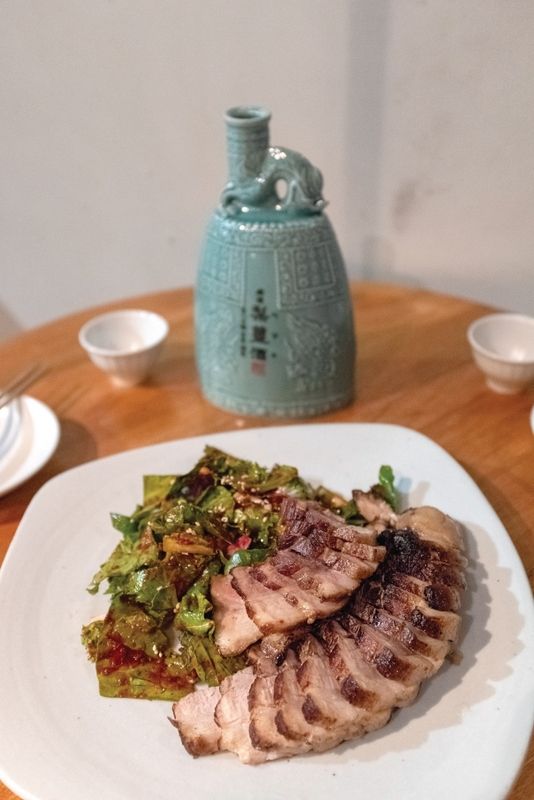 You know of soju as the clear liquid magic (or headache) in little green bottles that accompany the sizzling grilled meat at Korean barbecue restaurants. Or maybe one of your favorite drinks is somaek, the blend of soju from same said bottle and mild Korean beer (maekju)? Friends, I have news for you: If the only soju you’ve had is from a cheap green bottle, you have not tasted the real stuff. Soju is one of three types of traditional Korean alcohol or jeontongju: takju, yakju and soju. Ju, as you’ve probably figured out, means alcoholic drink. All three types start with the same process. Rice is fermented with a wheat cake called nuruk, a fermentation starter that includes yeasts and molds that give jeontongju their characteristic taste. Once fermented, the cloudy liquid that settles to the bottom is called takju. You’ll know it as makgeolli, also available inexpensively, but in larger plastic bottles, that range in alcohol from 6 to 16% ABV. 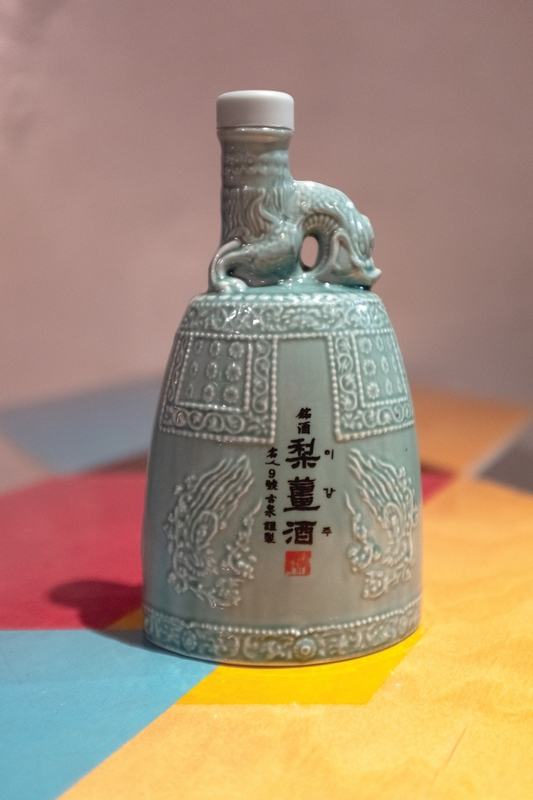 The transparent golden-colored liquid that rises to the top is called yakju, the premium drink reserved for royalty and the noble class in Korean history. You may know of it as cheongju, a name that many producers use today for marketing purposes, dissociating the drink from a name that sounds medicinal (yak also means medicine). Distill the yakju and you get soju: a clear, water-white alcohol that ranges from 20 percent to 50 percent ABV. What makes the green bottle soju not the real stuff? Because it’s made with the cheapest grains and fermented with a Japanese fermentation starter called koji, which results in a much simpler tasting alcohol. It is also volume distilled, diluted and then flavored with a variety of additives. History conspired to make this so. 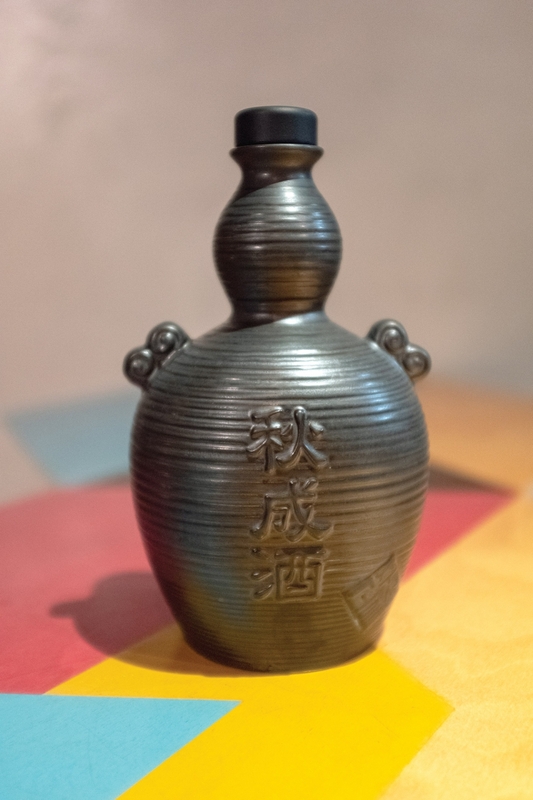 Though soju has been around since the 13th century, the Japanese Occupation outlawed the making of alcohol at home, which led to the commercial production of soju and other jeongtongju. In the 1960s following the Korean War when rice was scarce, a law banned the use of rice in the making of alcohol, which led distilleries to turn to sweet potatoes and tapioca for the alcoholic base. 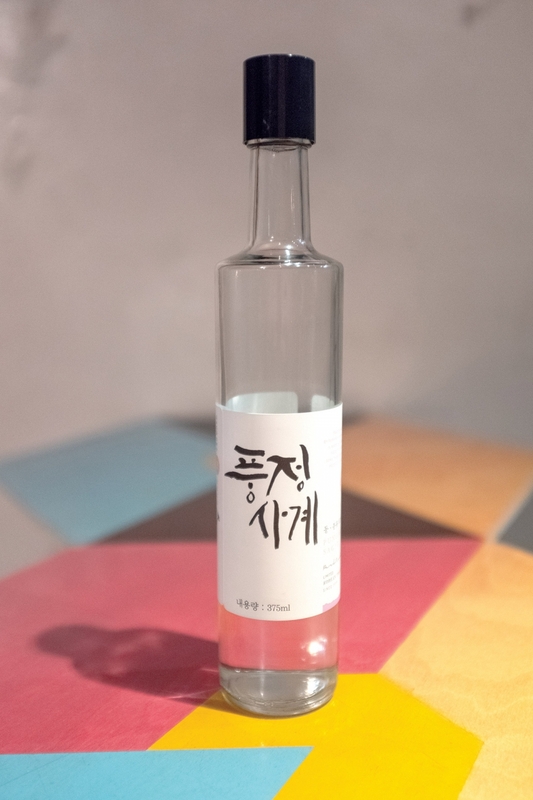 Though the ban on using rice to make alcohol was lifted in the late 1990s, today’s ubiquitous green-bottled soju is a highly distilled 95 percent ethanol that is diluted with water to between 17 and 25 percent ABV, and then flavored with sweeteners. Attempts to revive traditional soju came about in the 1990s as well, but now is the time to revel in artisanally-made jeontongju, including soju. A small but growing number of quality-conscious producers are making them as they were meant to be: fermented, filtered and distilled. So what does a properly made soju taste like? It can be smooth, rounded and aromatic. Or linear and more closed in personality and aromas. Rough or sweet, sour, fruity, spicy or nutty — good soju has a complexity of aromas and flavors. Mr. Ahn’s Craft Makgeolli, a Korean restaurant and bar that serves a good selection of all three traditional jeontongju made without any additives in Gyeongnidan — as well as a very sophisticated take on traditional Korean cuisine — is one of two places I recommend to sip and revel in Korean traditional drinks. White Bear Makgeolli in Gangnam is the other. At Mr. Ahn’s, the soju menu is presented graphically along two scales. The horizontal X axis runs from plain or pure, to expressive or splendorous, while the vertical Y axis runs from smooth to rough. Here are three sojus to try — all in the smoother style. Order the Tong Samgyeobsal (통삼겹살), pork belly made sous vide and seasoned with doengjang to go with. You’ll wonder why you haven’t tried Korean soju, as it was meant to be made and drunk. This is the smoothest and plainest of the sojus served at Mr. Ahn’s. Clear and water white, it is smooth, slightly sweet, sour and yeasty. Moving along the Y axis to the more expressive side, but still very much on the smooth side, this is the happy middle of the smoother sojus at Mr. Ahn’s and of my three recommendations. Clear and water white, the nose is more closed. On the palate are pears, cinnamon, ginger and nuts. On the most expressive and exuberant side, and slightly less smooth than the other two, this rounded and robust soju is clear and water white. Think roasty, chocolatey, spicy and perhaps even a hint of herbal medicine.